Your Questions: What’s The Best Way To Digitise Vinyl? In today's Your Questions, we take a look at three ways you can digitise your vinyl collection. In today’s Your Questions, we take a look at three common methods to transfer your vinyl collection onto the digital domain. Twitter follower Jerry Forbes enquires, “What is the best thing to purchase for transferring your wax to the laptop?”. Freshly released vinyl are often packaged with CD copies or download codes. In this case, customers get the best of both worlds, but what to do when you’ve amassed a large collection over the years with no download code in sight for some of your records? 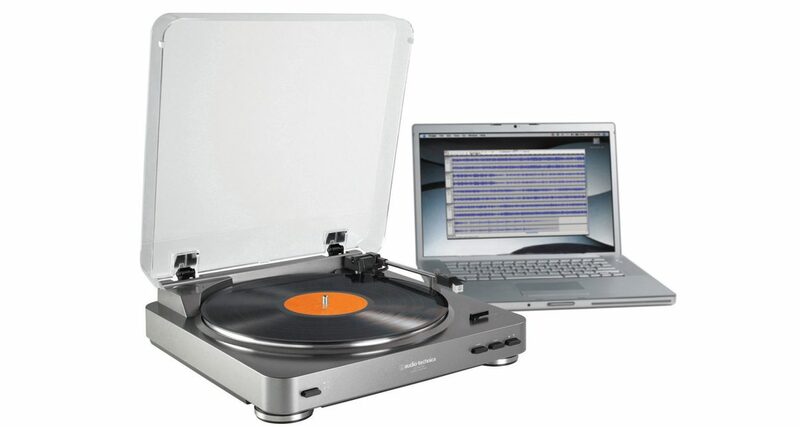 To transfer your collection from vinyl to laptop, you will generally come across three options: first is the all-in-one turntable/CD burner. 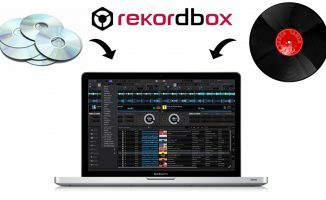 It provides the easiest solution for consumers; just record the album onto CD and import the tracks into your preferred music library. 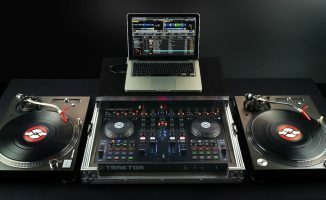 However, this is likely the solution chosen least by DJs, as many will have a more dedicated setup for DJing. The second way is through a USB turntable, though a bit more technical as it requires navigating software. USB turntables often retail cheaper than all-in-ones, with the Audio-Technica AT-LP60USB coming to mind as a solid option. For software, you can go the free route with Audacity for PC, Linux, and Mac, or for dedicated Apple fans, GarageBand does the job. Although nonessential, some argue that paid options like Pure Vinyl or VinylStudio make life easier. Lastly, you can use an audio interface hooked up to your computer running a digital audio workstation (DAW). For recording, you need an audio interface if your turntable doesn’t have a USB output and your computer doesn’t provide an ⅛” audio input. An interface is generally an ideal choice for critical listening, producing music, or obtaining the best quality vinyl rips for your digital DJing. An important distinction to make is the difference between line and phono-level signal, as some turntables only feature phono, particularly on older models. If you run into this, you’ll need to convert it to line with a phono preamp inserted between turntable and audio interface in the signal path. How do you go about digitising your collection? Do you think more expensive gear makes a difference in recording quality? Which software do you use, if any? Tell us your thoughts in the comments! With a background in recording and sound engineering, Lauren joined the team fully in 2016 as our Social & Community Manager. She currently gigs around Denver, Colorado specialising in unique DJing events. Your Questions. Can I Rip My Old Vinyl With A Traktor Kontrol S4? The way I go about it is fairly simple. I have a Numark USB turntable with a Sure needle on it (for the best quality) and I plug it into my computer and use Wavelab as my recording software. From there I’ll record as wav. or aif. and edit the songs (individualize them), normalize them, then either burn them to CD or MP3 them and tag them. My goal is to try and preserve as closely as possible the original vinyl sound. Nice method, thank you for sharing 🙂 Haven’t had much experience with Wavelab yet, I’m guessing you like it okay? Yeah, I love Wavelab. I’m on Wavelab 8.5. 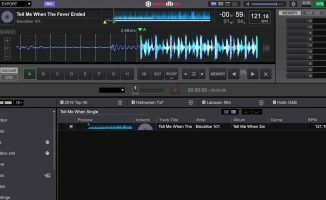 I’ve been using Wavelab for years – since version 3.0. It’s super easy. Intuitive. Fast. Editing is on-the-fly. Nice – I’ll have to check it out, thanks! Great, good to have that first-hand feedback from a VinylStudio user! 🙂 How does it sound at the end compared to the original? I’ve heard too many times that these USB turntables deliver poorly due to cheap cartridges. 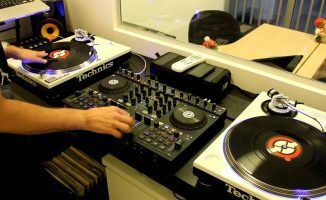 I was thinking of using one of my 1200s with a Numark Stereo|iO interface, using Sound Forge as my recording software. Thoughts? Actually, that’s not a bad way to go either…. Just trying to figure out if I can route the audio output through the USB, as opposed to the RCA. I wonder if they still make Gruv Glide? The message here is to get a soundcard with phono inputs or a specific phono pre-amp if your TT has phono outputs. Audacity’s click removal works really well and is fast. Free software, too. Also, check the output from the USB turntable, most of them have gain controls, it’s best to tune the gain down and normalize later rather than having a clipped output. Audacity and Ableton for editing. i use my technics 1210 turntable through my pioneer mixer & use the record out from my mixer to my pc input…i record my records into audacity which is a great recording program & then i can edit the tracks & tag them & save them as wav files.